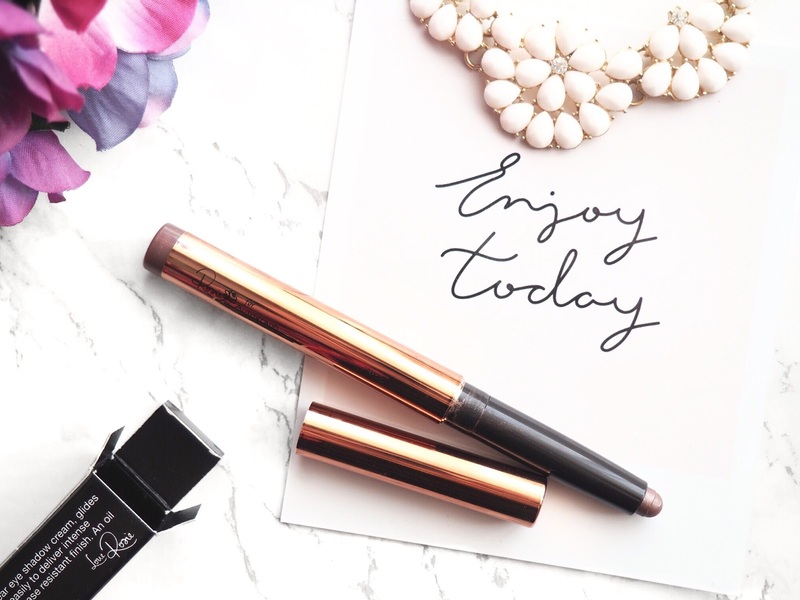 The Rosie For Autograph collection first caught my eye when I started seeing pictures pop up over social media and with me being the makeup lover I am I obviously had to check it out! Not only was the rose gold packaging to die for, the fact it was Rosie Huntington-Whitely’s collection made it 100x more appealing as who doesn’t dream of being as beautiful as her?! When I saw the stand in my local M&S (side note: how good is the M&S beauty hall now, hello Stila, Pixi etc) I got a bit carried away swatching various products but I decided I had to have some kind of self control and limited my self to only one product which was this beautiful eyeshadow stick, although the lipsticks and highlighting powder really did catch my eye – I may have to go back for another look! Eyeshadow sticks are one of my favourite beauty products and I find them staples in my everyday makeup routine so I knew that I’d get plenty of use out of this. They had four shades to choose from and with much debate and the help of my mum I finally settled on Movie Star Crush. Movie Star Crush is a beautiful rather unique shade that looks different depending on the lighting. It has a taupe/brown base with a multicoloured shimmer that gives it a pink/purple tone in certain lighting. Whilst it does contain shimmer it isn’t too ‘in your face’ making it a really wearable shade. When I was looking to see if I had any similar shades in my collection I noticed how similar it is to the By Terry Ombre Blackstar in Misty Rock which comes with a hefty £29 price tag. I do think that Movie Star Crush is an excellent more affordable option, and whilst both have the luxury feel I do find the Ombre Blackstar lasts a bit longer on my eyes and colour wise is a bit lighter and has more of a metallic finish. As for the formula it’s really impressive. It glides onto the eyes easily and gives you enough time to blend in before it sets then you’re set for the day as this does pack some serious staying power, I know that I can apply it at about 7/8am and it’ll still be looking good at 5pm and that’s without a primer underneath or a powder to set it, which both would prolong the wear even more. Overall I’m super impressed with this shadow stick and I’m glad I picked it up! I’ve got my eyes on a few more pieces in the collection and knowing me I’ll probably end up picking them up – my life motto of “get it don’t regret it” just takes over! Have you tried anything from the Rosie For Autograph collection?